Ashton Kutcher is Steve Jobs, the iconic Apple innovator and groundbreaking entrepreneur. This inspiring and entertaining film chronicles Jobs’ early days as a college dropout, to his rise as the co-founder of Apple Computer Inc. and forced departure from the company. More than a decade later, Jobs returns and single-handedly sets a course that will turn the once-tiny startup into one of the world’s most valuable companies. His epic journey blazes a trail that changes technology, and the world, forever. 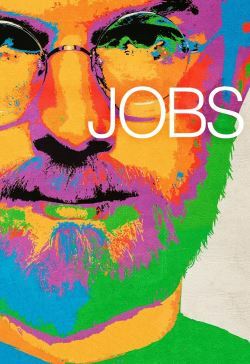 Jobs is a riveting story of a true American visionary, a man who let nothing stand in the way of greatness. Co-starring Dermot Mulroney, Josh Gad, J.K. Simmons and Matthew Modine.